“Choose-your-own-adventure book”. I hadn’t heard that phrase since my childhood, and the words sure brought back a lot of memories. Do you remember them? The books which have a lot of different endings, depending on the choices you make while reading. The books which are so hard to put down, even when you reach the end. Because you have reached one, or two, or even all endings, but you are still curious to see if there are some more adventures to explore, some more decisions to make that will lead to new stories. Back in the day, I didn’t read a lot of choose-your-own-adventure books, simply because I hadn’t come across many of them. Still, the couple I did read left a bright mark in my memories and they are among the books from my childhood that have fascinated me the most. 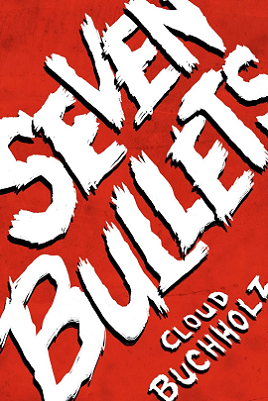 So, when I came across “Seven Bullets”, a new choose-your-own-adventure book by Cloud Buchholz, I was thrilled and started reading right away. When I finished, I found out that writing about “Seven Bullets” without spoiling it is really hard. You know, when you are reviewing a traditional book, you can hint a bit for something in the middle of the book, but not really say much. With choice-based books this is hard, as the “middle” may or may not happen to the reader at all. Anyway, I will try my best. 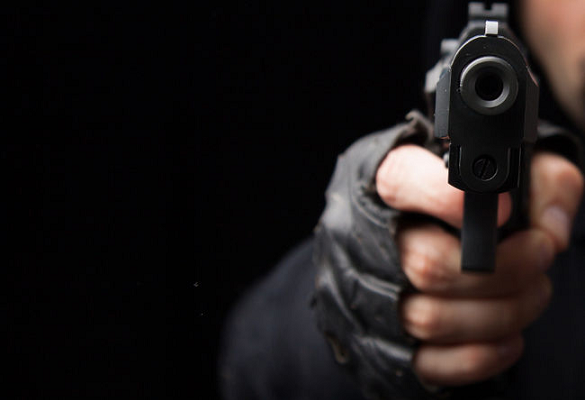 The main protagonist in “Seven Bullets” is a hitman who wants to retire. His boss, referenced to simply as “The Boss” in the book, kidnaps his sister in an attempt to stop him from the well-deserved rest. The assassin jumps right into rescuing his sister by making a lot of choices along the way. The path is dangerous and treacherous, and it is hard to find out the true nature behind each encounter you make. You meet normal people, vicious kidnappers, fellow assassins who want to kill you and weird scientists who may or may not help you along the way. The characters are numerous and diverse, with some of them even seeming to have a little mix of myth and fantasy. I read “Seven Bullets” on my Kindle and was pleasantly surprised to find out that reading it as an e-book is actually way better than reading a normal paperback. Turn to page 31 to shoot at the attacker. Turn to page 174 to hide behind the wall. Following the story is straightforward, although a little hassle is created with so much leafing through the book. However, backtracking in order to make another choice is hell – you need to remember from which page you came and go back to it. Or you can try skimming through the book in order to find the place – a desperate move I have often resorted to. 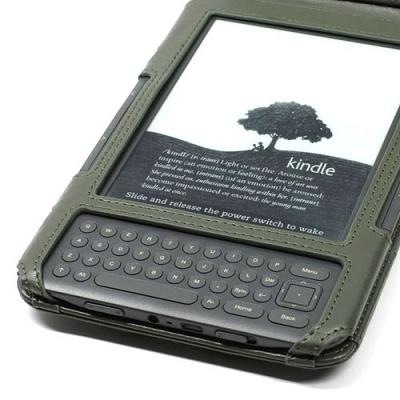 With e-books, making a choice or backtracking from a bad ending is a piece of cake. Choices are just links which lead to the appropriate page, and, by hitting the “Back” button, you can backtrack all the way to the beginning of the book! Another aspect of the mechanics in a CYOA book is whether or not you have to keep a “diary” with statistics or rely on some “random” factor. Some books required you to keep a diary of how much “life” you have left, for example, or which items you have found. 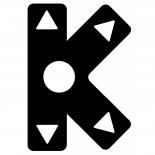 At the same time, you might be required to possess dice in order to determine, let’s say, the power of an attack. Needless to say, not all people were happy with investing so much thought/time while reading a book and it was also necessary to almost always read such books from home only or to always carry around a pencil and dice. I was happy to find out that in “Seven Bullets” there were no such requirements. You can read the book anywhere, anytime and backtrack to your heart’s content! Cloud Buchholz writes in an easy-to-read way, which does not distract you from the most important part – making the right choices. Do not expect the book to be an example of high-class literature or to ponder on philosophical themes. The story is about an assassin trying to outwit his Boss and save his sister, cold and simple. I personally liked how the author has organized the book. Reading sections before choice-making are relatively small, which allows you to always leave the book on the decision point before, let’s say, hopping off the bus. I haven’t done the count, or taken every single choice, but I’m inclined to believe these numbers. Some of the choices are quite obvious, and, to say the truth, this is one of the weak points in the book. I managed to go almost to the end of my first read before getting killed, which is quite unusual for such books. The choices lead through something of a central storyline, so you may reach the same ending by making different choices. I was really surprised to find out that some large parts of the book really didn’t matter to the “central” story, so you could arrive at the same section of the book after 10 minutes of reading or after 1 hour. Of course, if the reader takes the longer way, he will have a better understanding of what is going on. At the beginning of my read, I suspected that my choices were determining why The Boss has kidnapped the assassin’s sister and what he was planning to do with her. It turned out that Cloud Buchholz had deceived me and it was not really this way, which was a relief. “Seven Bullets” is a good choose-your-own-adventure book. It is the first such e-book that I have read, and I was pleasantly surprised with how easy it was to make choices and backtrack. The story really depends on the reader, and may or may not go through some really difficult moments and some really memorable encounters. But there’s the opportunity for some truly bizarre experiences, ones you certainly do not expect in what is a simple action flick on the surface. This is what makes the book special. Understanding the reason behind the name of the book depends on you, the reader, and I believe you won’t consider the book finished until most possibilities are explored. If you are a fan of CYOA books, I recommend you give “Seven Bullets” a try. Also cool to hear the story is good, if not deep. I hadn’t really thought they made more adult versions of these books, the ones I read as a kid were all cartoony. Thank you Firion, it is nice to hear that there are other fans as well! I also have less time for reading these days but with long rides to work and my Kindle I manage to steal several hours a week. I’ve actually never read a COYA book before. Like and yourself i don’t have much time to read, i actually have about 5 books i need to read. I enjoyed reading the review and im glad to finally meet you. Hi Aramonde, nice to meet you too! I wish you luck in getting to those 5 books – it’s sometimes hard to find time, but definitely worth the effort!